Are you planning a May trip to Iceland? Because if you are then you are in the right place, my friend because today I have the most comprehensive guide for all of the things May Planning. Okay. First of all, thank you so much for your kind words. But second of all, thank you so much for mentioning me in your story because you guys, I love hearing from your trip. So as you’re traveling in Iceland, all you have to do is tag me on your Instagram stories so that I can follow along and see what you’re up to. I absolutely love hearing from you guys. It makes my day, and who knows? Maybe I’ll feature you in one of my videos. All right, so let’s get back to planning your May trip to Iceland. Let’s get into it. First, and very importantly, for each month planning is the daylight hours. I said it before and I’ll say it again and May is definitely no exception, friends. So in the beginning of the month there are 17 hours of daylight. Wow. And at the end of May, there’re 20 hours. This is absolute insanity, so definitely the longest days of summer are upon us. As we’re getting closer to the summer solstice, this obviously, means lots and lots and lots of time to explore, with one caveat. I do want to mention, that it’s easy to kind of forget about what time it is and keep driving and drive late into the night because it’s light out, but you do have to be careful because you’re going to get sleepy and so I don’t want you pushing yourself too far so that you’re dangerous on the road. Speaking of pro-tips, my very important summer tip is very, very, very importantly is that you need to pack an eye-mask for your May trip. “What’s an eye-mask, Jeanie?” What are you talking about? This is an eye-mask, my friends. And let me tell you, this will save you so many hours of tossing and turning because when the sun is out for that long, it’s literally light in the sky. It doesn’t get dark, but for maybe a few hours, this will be your best friend. This one is my favorite because you can’t see through it and it’s really soft and comfortable. You just put it on your eyes and you’re good to go. And now, the daylight hours, they won’t affect you. I’ve linked my favorite mask in the description below, so make sure to check that out. Trust me. May, June, July, you’re going to want a sleep mask. Next up for weather in May. I love may in Iceland because everything is starting to bloom. It’s starting to get so, so, so beautiful. Maybe like that typical Iceland that you’re thinking about what the green, lush landscapes are starting to appear. And then also May is the time for the lupine flower. The lupine is that beautiful purple-like flower that kind of looks like a bluebell and it is all, all over the country so people are asking me where they can see the lupine. Literally, just walk outside. They overtake the countryside. Trust me, you will see them. They are such a cool part of May in Iceland. In terms of temperatures for May, you can think of, on average, 5 up to 20 degrees Celsius or 41 to 68 degrees Fahrenheit. I will say that those higher ranges are extremely rare for Iceland, in general, much less May, but the temperatures can get that warm. It can feel quite warm, but I definitely wouldn’t count on that. So make sure to still plan for cooler temperatures. So you can definitely expect lots of sun or normal cloudy days, dare I say warm, some wind, and then honestly, the least amount of rainfall of the entire year. So it’s not an extremely crazy month in terms of weather. If you’re wondering what to pack for your spring trip to Iceland, then make sure to check out the spring packing video that I have posted on my channel. Okay. The good news is for sightseeing, almost all areas of Iceland are accessible in May, so this is super exciting for those May travelers. The normal spots, Reykjavik, Golden Circle, Ring Road, North Iceland, Snaefellsness, even the Westfjords you can travel in May. However, the only area that’s not accessible, absolutely completely closed off is still the Highland Area, Landmannalaugar, Thorsmork, all of those areas, still inaccessible. Lots of snow. The roads are actually closed off still during May. One of the big pros of May that I wanted to point out is that it’s still considered “off-season.” Even though it’s getting into peak season, there’re definitely less tourists around. So this makes sightseeing a lot more enjoyable as you’re wandering around the waterfalls and the Black Sand Beach. Yeah, they’re still going to be people, but definitely not as much as getting into June, July, August. Okay, driving in Iceland in May. Finally, this is so exciting. Dare I say that driving in May in Iceland is easy. Yeah, I think I’m going to a say that. I think I’m going to a stick with that one. There is a very, very slight possibility that you might run into some leftover snowfall in the north and in the Westfjords because those areas tend to get more snow during the winter, so maybe there’s some remaining, but it definitely won’t affect your driving. So in terms of driving around Iceland in May, it’s a breeze. Especially, if you’re just traveling those main, main, main roads, like the Ring Road and the Golden Circle and things like that. Also, I would say along with that is that a two-wheel drive will be sufficient for almost all of the areas that you’re planning on traveling to in May unless you’re traveling to the Westfjords. In that case, I do recommend a four-wheel drive, but for more specifics about that, make sure to check out the video that I have posted as well. Last up are the fun festivals, events, holidays that happen during May. The first one is called May Day. This is one of those holidays that’s kind of more common in other countries as well, but it’s not the May Day that you might be thinking, aka Labor or Workers Day. This is when the locals will go around protesting things like equal wages and things like that. So if you’re in Reykjavik, you might see some protesters out on the street. Along with that is called the International Day for the Icelandic Horse. So this is a day to celebrate the unique breed that is the Icelandic Horse, which we all know and love because they’re so beautiful. This day is celebrated over a weekend and it features a parade in Reykjavik. If you guys want to know more about the Icelandic Horse and how to jump on a tour, then make sure to check out the video that I have made specifically about that. And last up is called Ascension Day. This is a Christian holiday in Iceland and it happens 40 days after Easter, so this day is changing every year, the date. The reason that you need to know about it is because a lot of locals, including businesses, families will close down and they’ll be at home and maybe doing it having a traditional meal, but definitely might affect some of the business hours, so definitely pay attention to the date for Easter, 40 days after that. All right, my friends, that is your roundup For All Things May Planning for your trip to Iceland. I hope you love this video. 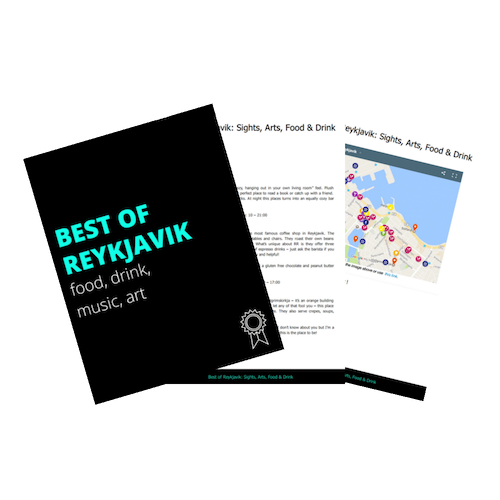 If you guys found the information helpful, make sure to give it a thumbs up and share it with another May traveler so that they can learn all about May in Iceland as well. 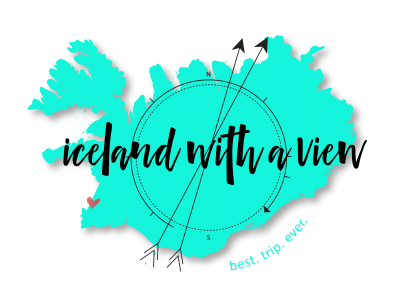 Also, don’t forget to check out my website, icelandwithaview.com where I share a lot more resources for you. If you’re planning your trip, you are definitely going to want to head over there. That’s it for today, my friends. I’ll see you next week for another Iceland video, but until then, happy planning. Solo Travel in Iceland – Why you should DO IT!